You can take supplements to support your general health, but you’ll often see supplements marketed to treat a specific condition as if they were a quasi-drug. 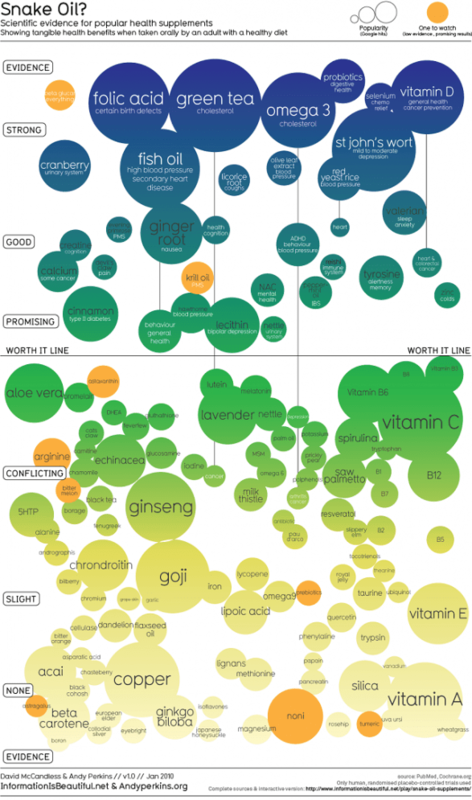 There’s no limit to the different health conditions you can buy a supplement for. Eyesight, muscle building, and constipation are some of the most common uses, but the specific conditions are increasingly more esoteric. 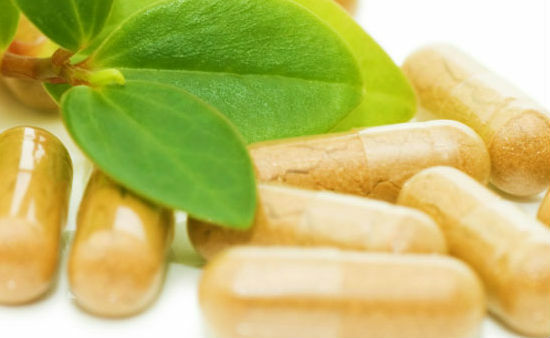 I do believe natural ingredients can be used to treat various conditions, but frequently pass on supplements that treat specific syndromes in lieu of high quality general supplements. Why? Because they’re often trimmed down versions of the original thing, but attached to a higher-value use case in order to justify a higher price. 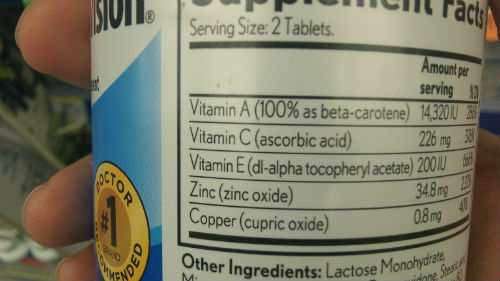 As you can see, it contains vitamin A, C, and E. These are important nutrients, but you’ll find these in any multi-vitamin or fortified food. Usually in copious amounts. There’s nothing unique about the formulation and as far as I can tell. The ingredients are probably sourced from the standard oligopolies that supply most synthetic nutrients. In short, it’s an entirely average source of nutrition. But it costs $33, well above a centrum or other standard daily vitamin. The ingredient list is more extensive, but I’d guess most people wouldn’t be able to distinguish between it and a good One-A-Day that includes the majority of these ingredients and many more. So in short, the common denominator among many of these products is they have more targeted ingredient lists, but not necessarily better ingredients, or even more of the ingredients you’d want to fight the condition. You’ll often find you can buy the individual nutrients in far greater quantities on their own. The basis for many nutritional products is that supplements are weaker forms of drugs. You can use them to act on specific molecules for specific conditions to the same effect as prescriptions but with lower cost and less side effects. This can be true, but it depends on what condition you’re taking the supplement for. It’s important to distinguish between conditions that are acute and conditions that are syndromes. Acute conditions are due to very specific malfunctions. These can usually be improved with an over-the-counter product that has an ingredient that acts on the specific problem in your body. One cause, one solution. Examples include vitamin deficiencies, constipation (psyllium husk), or some cases of gout (cherry juice). It gets tricky when you’re trying to treat something that doesn’t have a specific cause like weight gain, metabolism, cognition, or certain types of fatigue. These are caused by interconnected feedback loops, which means anything you take that initiates a change will cause another activity to counteract that effect. If you’re taking a supplement or vitamin to treat this this type of issue you’ve got deeper problems to deal with. You’ll want to save your money on the vitamin and begin to think carefully about adjusting your lifestyle. If you do buy a supplement it’d be a good idea to get a multi-purpose one that promotes general health, because the syndrome you suffer from is merely a symptom of a combination of deeper problems that are bubbling up to the surface. Look at ginkgo biloba on the graph. It’s very often touted as a remedy for focus and cognition, but the evidence is decidedly mixed. It does have proven biological effects on your brain that make it easier to function…….but using it specifically to improve your memory? It’s a crapshoot. (I’ve written about ginkgo biloba before). It’s also why drugs are expensive. It’s impossible to tell what a molecule will do in a human body until you do live trials. Live trials can only be done after going through years of FDA safety testing. Pharma companies have to buy up and throw about 1,000 unique molecules against the wall to find the one or two that are promising enough to make it through the regulatory gauntlet. And even then it’s 50/50 that it’ll bomb when it’s all said and done. And then they have to market the hell out of it to recoup the billion dollars in fixed costs of making the pill. They act like dicks because they can’t afford not to. It’s not a good idea to blithely buy a supplement because it advertises itself as being able to treat a specific condition. 1). What are the active ingredients? 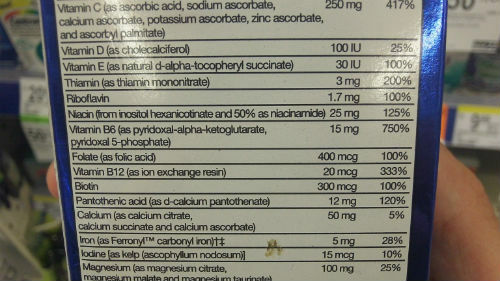 Note the quantity and amounts listed and see how that compares to a high quality multi-purpose supplement. Often the latter will have just as much of what you need, sometimes more. 2). Can I buy the ingredients individually or in a supplement not labeled for a particular condition? Sometimes a chronic inflammation product will be little more than fish oil and vitamin C. Sometimes an eyesight vitamin will have lutein, vitamin A, and vitamin E and cost twice as much if you just bought bottles of each individually. Pay close attention to see if there’s a “condition premium” above and beyond what the ingredients themselves merit. 3). Does the product provide a greater amount of key ingredients in a combination I couldn’t get elsewhere? I’ve seen energy pills that have 100mg of ginseng. That’s about how much is in Incredible Greens, which isn’t marketed as such……it’s just made to be healthy. In these cases just move along. However, good formulations will have a certain combination of ingredients in quantities that are very difficult to find elsewhere. In this case it might be a good buy. 4). Is my problem something that can really be targeted by a supplement? Some problems are more curable than others. If you can identify a single cause for your health condition, then chances are you can find a good supplement to do the trick for you. But if your problems are the result of years of bad habits, you need to lower your expectations about whatever it is that you’re buying and think about interventions that are more surgical in their nature. If you answered “no” to the first two questions and “yes” to the last two then go ahead and buy whatever you’re considering. If not, then just get a good greens or meal replacement powder and call it a day. I need to take good quality supplements for body growth. Can anyone help? That’s a tricky question. Body growth has a lot to do with the secretion of different hormones and genes. Two things that aren’t easily pinpointed.